Not to be confused with Raymond, Washington. Raymond Lee Washington (August 14, 1953 – August 9, 1979) was an American gangster, known as the founder of the Crips gang in Los Angeles, California. Washington formed the Crips as a minor street gang in the late 1960s in Los Angeles' South Central area, becoming a prominent local crime boss. In 1971, Washington formed an alliance with Stanley "Tookie" Williams, establishing the Crips as the first major African-American street gang in Los Angeles, and served as one of the co-leaders. In 1974, Washington was convicted of robbery and received a five-year prison sentence, during which his leadership and influence in the Crips declined. A drive-by shooting is a type of assault that usually involves the perpetrator firing a weapon from within a motor vehicle and then fleeing. Drive-by shootings allow the perpetrator(s) to quickly strike their target and flee the scene before law enforcement is able to respond. Raymond Lee Washington was born in Los Angeles, California, on August 14, 1953, the youngest of four sons to Violet Samuel and Reginald Washington. His parents separated when he was two years old, and he was raised by his mother and stepfather. 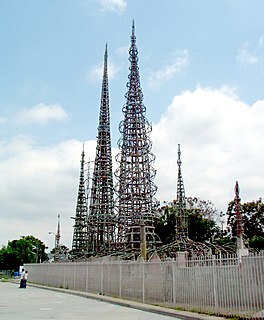 He grew up on East 76th Street, between Wadsworth Avenue and Central Avenues in Los Angeles' South Central. Washington had a half-brother, Derard S. Barton, from his mother's second marriage. Marital separation occurs when spouses in a marriage stop living together without getting divorced. Married couples may separate as an initial step in the divorce process or to gain perspective on the marriage to determine if a divorce is warranted. Other couples may separate as an alternative to divorce for economic or religious reasons, for tax purposes, or to ensure continuing retirement and/or health insurance benefits for both spouses. A separation can be initiated informally, or there can be a legal separation with a formal separation agreement filed with the court. As for a divorce, the latter may include provisions for alimony, whether to have sole custody or shared parenting of any children, and the amount of child support. According to neighbours of Washington, he developed an affinity for fist fighting as an adolescent, and was constantly in trouble with the Los Angeles Police Department for various offenses. Washington's mother is quoted as saying, "Raymond was a good kid when he was a boy. Raymond didn't go out of his way to fight or do anything bad, but if someone came to him, he would protect himself. And he was well built. He tried to protect the community and keep the bad guys out. But after a while, every time I looked up, the police were coming to the house looking for Raymond." Some neighbors remembered Washington differently: Lorrie Griffin Moss, who resided across the street from Washington on E 76th Street, said, "I don't have a whole lot of good to say about Raymond. Raymond was a bully. A muscular bully. He wouldn't let anybody from outside our neighborhood bother us. He would bother us. Raymond could be very mean." A friend stated that Washington was a good football player, but never participated as a member of school sports team due to his poor grades. Washington was repeatedly expelled from schools resulting in frequent transfers, attending Locke High School, John C. Fremont High School, an alternative school attached to Washington Preparatory High School, and Fairfax High School in the Fairfax District near West Hollywood. Adolescence is a transitional stage of physical and psychological development that generally occurs during the period from puberty to legal adulthood. Adolescence is usually associated with the teenage years, but its physical, psychological or cultural expressions may begin earlier and end later. For example, puberty now typically begins during preadolescence, particularly in females. Physical growth and cognitive development can extend into the early twenties. Thus, age provides only a rough marker of adolescence, and scholars have found it difficult to agree upon a precise definition of adolescence. The Los Angeles Police Department (LAPD), officially the City of Los Angeles Police Department, is the police department of Los Angeles, California. With 9,988 officers and 2,869 civilian staff, it is the third-largest municipal police department in the United States, after the Chicago Police Department and the New York City Police Department. The department operates in an area of 498 square miles (1,290 km2) and a population of 4,030,904 people. In the late 1960s, there was a dramatic increase in youth crime in Los Angeles, particularly in and around South Central's Watts neighborhood. Crime was especially prevalent in the three housing projects located in Watts, known as "the Bricks": Imperial Courts, Nickerson Gardens, and Jordan Downs, where violent street robberies were common among adolescent criminals. Older African-American street gangs in South Central like the Slausons, the Businessmen, and the Gladiators, had been ended by activist groups such as the Black Panther Party and the US Organization. The absence of the old gangs saw numerous new youth gangs begin to form in their place, including the Sportsmans Park, New House Boys, Acey Duecy, and Chain Gang, on West Side. Juvenile delinquency, also known as "juvenile offending", is the act of participating in unlawful behavior as minors. 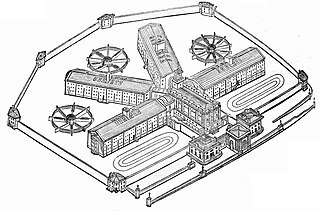 Most legal systems prescribe specific procedures for dealing with juveniles, such as juvenile detention centers and courts, with it being common that juvenile systems are treated as civil cases instead of criminal, or a hybrid thereof to avoid certain requirements required for criminal cases. A juvenile delinquent in the United States is a person who is typically below 18 years of age and commits an act that otherwise would have been charged as a crime if they were an adult. Depending on the type and severity of the offense committed, it is possible for people under 18 to be charged and treated as adults. Public housing is a form of housing tenure in which the property is owned by a government authority, which may be central or local. Washington, a native of the East Side in his early teens during the rise of the gangs, joined a local street gang called The Avenues, led by another teenager named Craig Munson. At age 15, Washington beat up Munson's younger brother in fist fight after discovering Munson had put a gun to his older brother, Reggie Washington. After the fight, Washington and one of his other older brothers, Ronald Joe, confronted Munson on the corner of E 81st Street and Avalon Boulevard. According to former gang members who knew Washington at the time, he was subsequently beaten up by Craig Munson in retaliation for his younger brother's beating, and Washington left The Avenues. In late 1969, Washington organized his own gang called the Baby Avenues, recruiting a group of other neighborhood youths in South Central. The Baby Avenues wanted to emulate a gang of older youths called The Avenue Boys, which had been active since 1964 on Central Avenue. By 1969, the Baby Avenues had re-branded themselves as The Crips, derived from Reggie Washington's nickname, and the size of the gang had grown rapidly. Fist fighting was the primary method of combat used by street gangs in Los Angeles at the time, and Washington developed a reputation as one of the best fist fighters in South Central's East Side. Washington used his fighting prowess to gain respect and fear from other gang members in the East Side, establishing himself as the natural leader of Crips, and used his reputation to influence smaller African-American youth gangs to join. This resulted in a network of Crip sets (subgroups) across the East Side, including the Avalon Gardens Crips, the Eastside Crips, the Inglewood Crips, under Washington's ultimate control. In 1971, Washington approached Stanley "Tookie" Williams, a similar gang leader from South Central's West Side who used his reputation as a fist fighter to unite gangs under his control, at Washington Preparatory High School where both were attending. Washington had heard of Williams through a mutual friend, who had informed Washington of Williams' toughness and his willingness to fight members of larger, more established street gangs such as the L.A. Brims and the Chain Gang. According to Williams' account of the meeting, what struck him about Washington was that, besides being incredibly muscular, he and his cohort were dressed similar to Williams and his clique, wearing leather jackets with starched Levi's jeans and suspenders. Washington proposed to Williams they form a confederation of the gangs under their influence in their respective areas along with another teenage gang leader called Mac Thomas in Compton, to form a single large street gang. The proposal would see Williams' gangs adopt the Crip branding and would be allied with other Crip gangs outside of the West Side, but would retain ultimate leadership in the East Side. Williams accepted Washington's proposal, uniting the West Side gangs under his influence as the West Side Crips. Stanley Tookie Williams III was an American gangster, known as one of the original founders and leaders of the Crips gang in Los Angeles, California. In 1971, Williams and Raymond Washington formed an alliance establishing the Crips as the first major African-American street gang in South Central Los Angeles. Williams became the de facto leader and the prominent crime boss in South Central in the 1970s. In 1979, Williams was convicted for the murder of four people during two robberies, and was sentenced to death. The highly publicized trial of Williams and extensive appeals for clemency sparked debate on the status of the death penalty in California. Levi Strauss & Co. is an American clothing company known worldwide for its Levi's brand of denim jeans. It was founded in May 1853 when German immigrant Levi Strauss came from Buttenheim, Bavaria, to San Francisco, California to open a west coast branch of his brothers' New York dry goods business. Today's Levi's are made overseas, and there is only one line of jeans made in the US, in Greensboro, NC. The company's corporate headquarters is located in the Levi's Plaza in San Francisco. A confederation is a union of sovereign states, united for purposes of common action often in relation to other states. 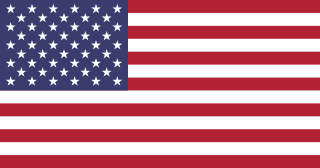 Usually created by a treaty, confederations of states tend to be established for dealing with critical issues, such as defense, foreign relations, internal trade or currency, with the general government being required to provide support for all its members. Confederalism represents a main form of inter-governmentalism, this being defined as any form of interaction between states which takes place on the basis of sovereign independence or government. One of the gangs, in the area is known as the Crips/ which started out at Washington High School as an extortion and terror organization and spread to other schools where the gang members enrolled after being expelled from Washington, the police said. The Police also said that this gang has been spreading "like an octopus" and now has members throughout South-Central Los Angeles, Inglewood, Gardena, Compton, Lynwood, Lancaster, Palmdale, the Firestone [unincorporated] area and the San Fernando Valley. Gang members, to identify themselves, wear black gloves on their left hands and gold-colored earrings in their left ears, which are pierced, according to police. They sometimes carry canes, which they use as weapons. Within a few years, much of the original Crip leadership were either imprisoned or dead. On February 23, 1973, Curtis "Buddha" Morrow, a close friend of Tookie Williams and a high-ranking Crip enforcer, was shot to death in South Central following a petty argument. Mac Thomas was murdered under mysterious circumstances in the mid-1970s. In 1979, Washington was released from prison after serving his sentence and returned to Los Angeles. Reportedly, Washington was shocked to discover that the violent war between the Crips, Bloods, and Hispanic gangs had escalated to the point that fighting using firearms, as opposed to fist fighting, was now normal. Over the next few months, Washington became disillusioned with the Crips as the gang committed more violent and senseless crimes, with new recruits seeking to build their reputations. [ citation needed ] Since Washington's imprisonment, the organization had totally broken down into loosely-affiliated decentralized sets that often fought each other, as the Crips' original leadership had disappeared. Tookie Williams, the last remaining original Crips leader, served as the de facto leader during Washington's imprisonment. Williams had been injured in a drive-by shooting in 1976, and developed a growing addiction to PCP that caused his authority to wane until he was arrested for four counts of homicide shortly before Washington was released. According to law enforcement, former gang members and close friends, Washington had decided that the Crips needed to be brought back under one umbrella organization to stop infighting, and then to work towards a truce with the Bloods. [ citation needed ] Upon realizing he no longer held influence in the gang, Washington started to distance himself from the Crips. The Mexican Mafia, also known as La Eme, is a highly organized Mexican American criminal organization in the United States. Despite its name, the Mexican Mafia did not originate in Mexico, and is entirely a U.S. criminal prison organization. 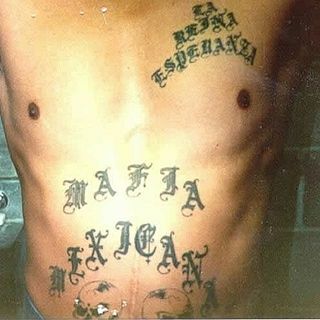 Law enforcement officials report that the Mexican Mafia is the most powerful gang within the California prison system. Government officials state that there are currently 350–400 official members of the Mexican Mafia with around 990 associates who also carry out its illegal activities in the hopes of becoming full members. Venice 13, abbreviated as V13 or VX3, is a Mexican American street gang based in the Oakwood neighborhood of Venice, a section of Los Angeles, California. It has a substantial presence in East Venice as well as the Culver City/Los Angeles border, especially around Washington Blvd. 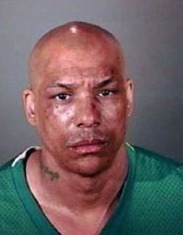 Tiequon Aundray "Lil Fee" Cox is a convicted murderer currently incarcerated in San Quentin State Prison. The Pirus, also known as Piru Street Family and Piru Gangsters (PG), are a Los Angeles street gang alliance based in Compton, and also present in the cities of Carson, Sacramento, Hawthorne, San Diego, Fresno, Santa Barbara and Watts. Piru sets make up most of the original Blood Alliance in Los Angeles. The main colors of Pirus are red and burgundy. Crime in Los Angeles has varied throughout time, reaching a peak between the 1970s and 1990s. The Avenues, also known as Avenidas or AVE's, is a Mexican/Mexican American criminal street gang mostly in Los Angeles County, California. They originally started as a social club for local Latino youths to protect themselves from other violent youths. 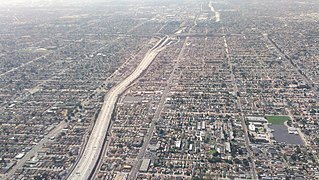 The Avenues, like most Mexican gangs in Los Angeles, are under the direct control of the Mexican Mafia when sent to State, County, or Federal prisons. They have a long history, but not all of it is riddled with violence and hate. South Los Angeles is a region in southern Los Angeles County, California, and mostly lies within the city limits of Los Angeles, just south of downtown. 1 2 3 4 Krikorian, Michael (2005-12-14). "Tookie's Mistaken Identity: On the trail of the real founder of the Crips". LAWeekly.com. Archived from the original on 2008-01-01. Retrieved 2008-01-06. ↑ Alonso, Alex A. (October 9, 2010). Death Certificate of Raymond Washington. Los Angeles: streetgangs.com. ↑ Fortier, Zach (2015-02-09). I Am Raymond Washington. SSP. pp. 159-160 and Picture 8-4. ISBN 0692359877 . Retrieved 2018-05-06. 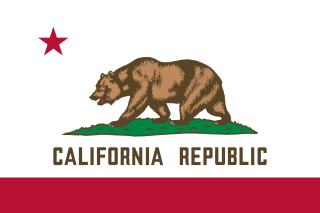 ↑ California Birth Index, Name: Raymond Lee Washington, Birth Date: Aug. 14, 1953 and September 8, 1953, Gender: Male, Mother's Maiden Name: Samuel, Birth County: Los Angeles. ↑ "Crips". Lycos.com. Archived from the original on December 28, 2007. Retrieved 2008-01-15.